Veterinary technologists and technicians are the quiet heroes of animal care. These animal health care workers assist veterinarians in diagnosing and treating animals who are hurt or sick. Also called "vet techs," they provide nursing care or emergency first aid, take samples, and run tests in the lab. In the operating room, vet techs administer anesthesia, monitor patients' vital signs, and assist surgeons in a variety of ways. The vet tech even acts as dental hygienist, evaluating animals' teeth and cleaning them with special equipment. The work can involve lifting heavy animals. It can also be demanding, requiring great patience and empathy. Sick animals are often messy... and may bite and scratch when afraid. Sadly, some can't be helped. Vet techs are also responsible for administering euthanasia, when the veterinarian and family agree it is the kindest treatment option. 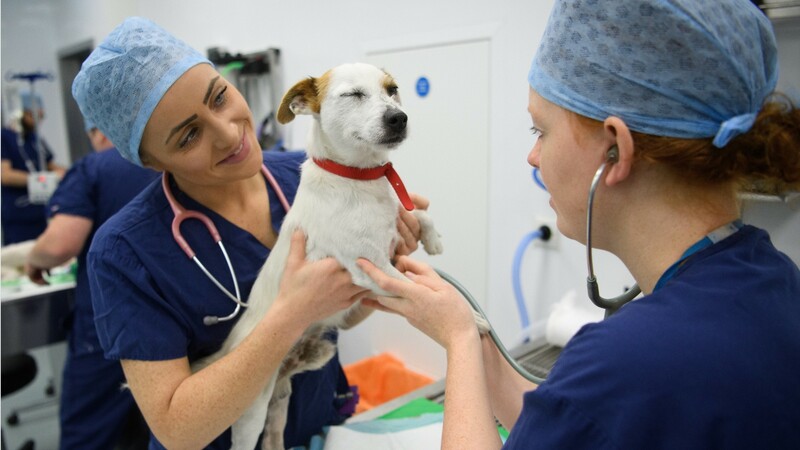 Veterinary technologists and technicians typically work in private clinics and animal hospitals. Other settings include laboratories, colleges, and universities. Some jobs require evening, weekend, or holiday work hours. Variable schedules are common. Veterinary technologists usually have a bachelor's degree in veterinary technology, while veterinary technicians need an associate's degree in veterinary technology. Both technicians and technologists must become registered, licensed or certified, depending on their state requirements. And while vet techs' patients can't say "thank you," they have other ways to show their appreciation! See more details at O*NET OnLine about veterinary technologists and technicians. Veterinary Technologists & Technicians by U.S. Department of Labor, Employment and Training Administration is licensed under a Creative Commons Attribution 4.0 International License.